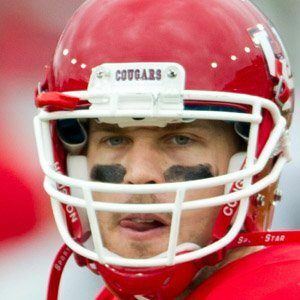 Quarterback who began his NFL career with the Houston Texans in 2012. In 2017, he joined the Minnesota Vikings and he helped the team reach the 2017-18 NFC Championship game. He played football, basketball, and track at Wylie High School in Texas. He went on to play football at the University of Houston, where he was a two-time C-USA MVP. He was a two-time recipient of the Sammy Baugh Trophy, which is handed out to the nation's top college passer. He married Kimberly Caddell in 2011. He started for the Texans in 2013 when quarterback Matt Schaub went down with an injury.